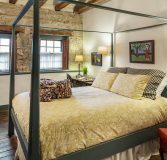 The Leopold Jochem guest room invites ultimate relaxation during romantic weekend getaways in Wisconsin. 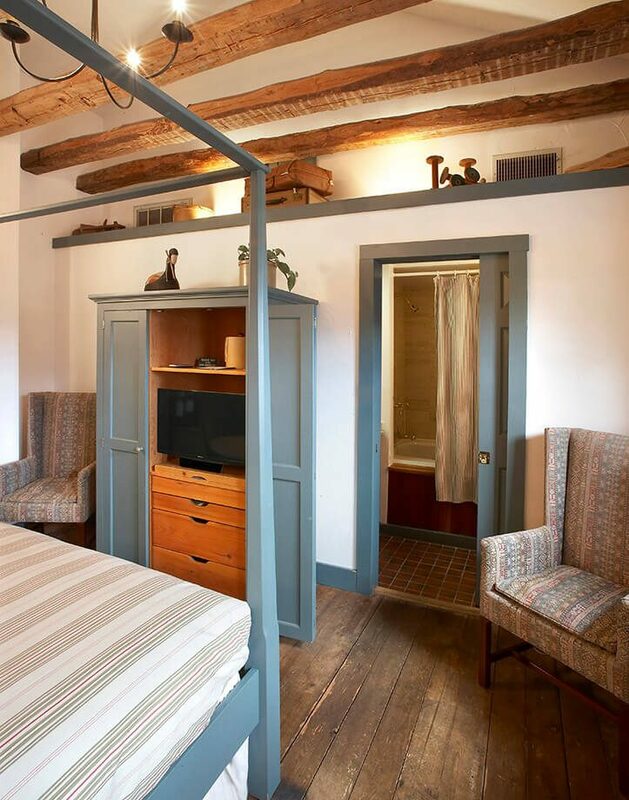 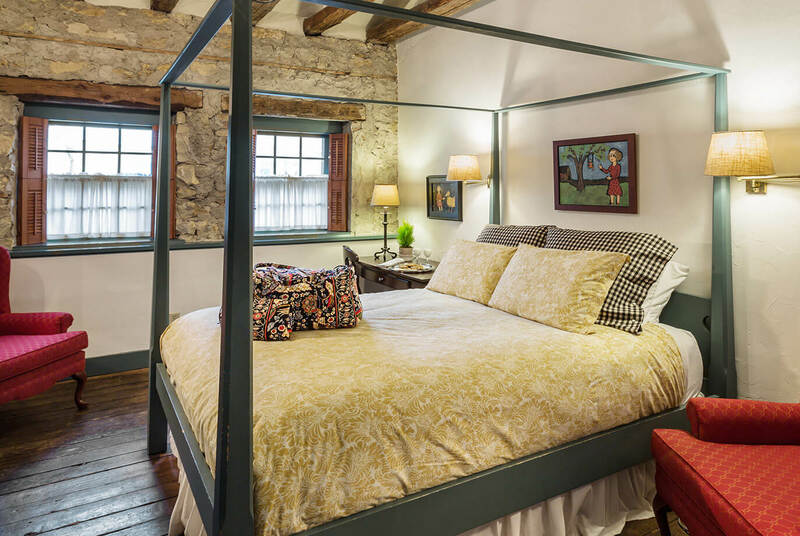 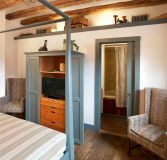 With its country-inspired pencil post bed, exposed stone interior walls, beamed ceiling and in-bath shower/Whirlpool, you can’t help but be brought back to a simpler time. 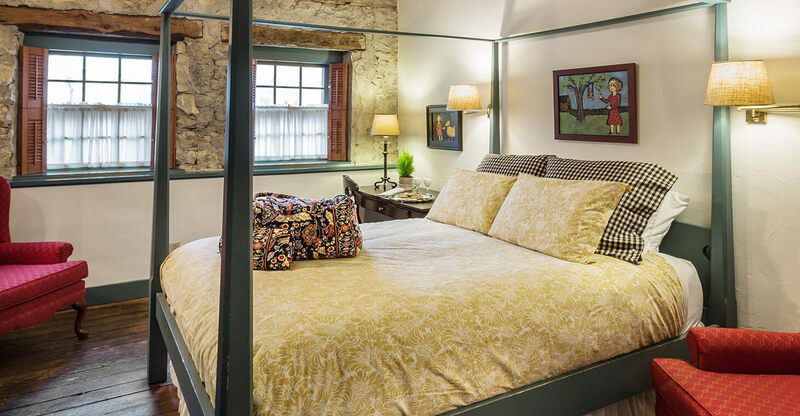 Country paint colors and patinas, along with local Cedarburg artwork create a warm and comfortable ambiance at our historic bed and breakfast inn.